This one took a little time to figure out. 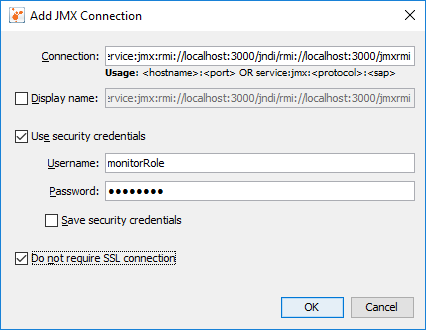 I wanted to profile a remote JVM application using VisualVM locally, in a way that didn’t expose any ports to the outside world and has a reasonable level of security. An SSH tunnel to access it would be fine, but I had to figure out whether the tools supported it. 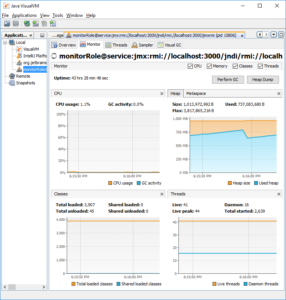 VisualVM is a tool I’ve used at various points in time to find some of the more obvious performance issues in my software. While not as fully featured as other tools out there, it can still be useful when looking for some of the more egregious bottlenecks. 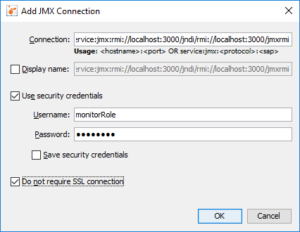 Using VisualVM to profile a local JVM application is straightforward enough – start up the application, and it appears in the Local list under the Applications tab. 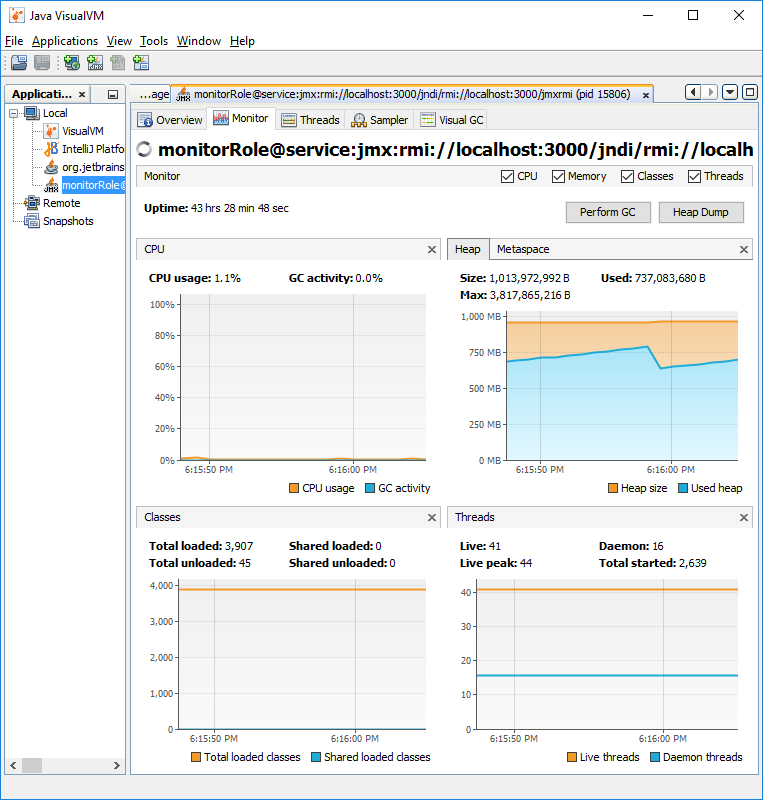 Profiling a remote application is where it gets a little more tricky. Unfortunately it was still externally visible even with the explicit localhost URL, but I did some more reading and found that by creating a custom RMIServerSocketFactory and passing that to the LocateRegistry.createRegistry call, you can bind the socket yourself. Because that’s what we really enjoy having to do. At any rate, my changes are available on the custom-socketfactory branch of my fork, at https://github.com/taufiqkh/jmx-rmi-agent/tree/custom-socketfactory. This entry was posted in Programming and tagged java, JVM. Bookmark the permalink.